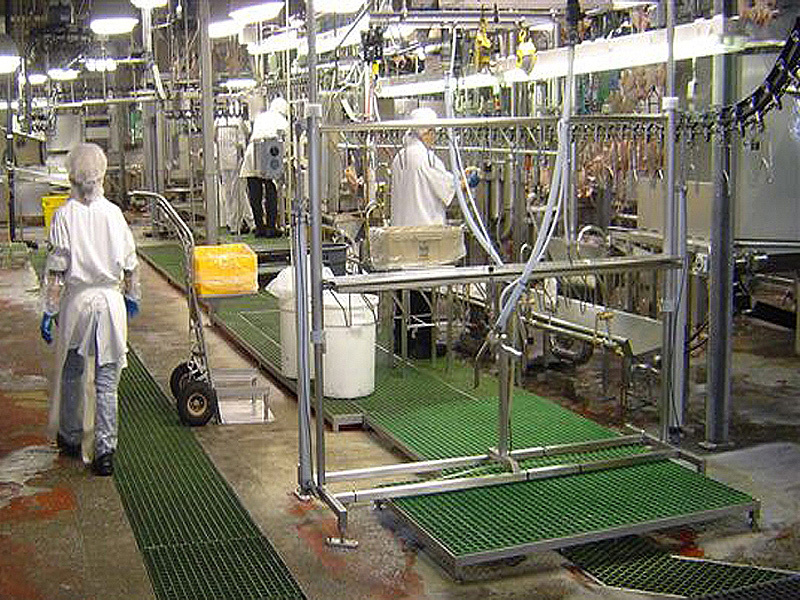 Captrad produce all types of grp moulded grating/fibreglass grating which provide an efficient and cost effective solution for all flooring, walkways and decking areas requiring long term performance in very aggressive and corrosive/chemical environments. Our Gratings are manufactured from glass reinforced thermoset resins, Captrad's grp molded grating is an excellent choice to replace conventional steel and aluminium grating systems in such aggressive/hazardous environments. 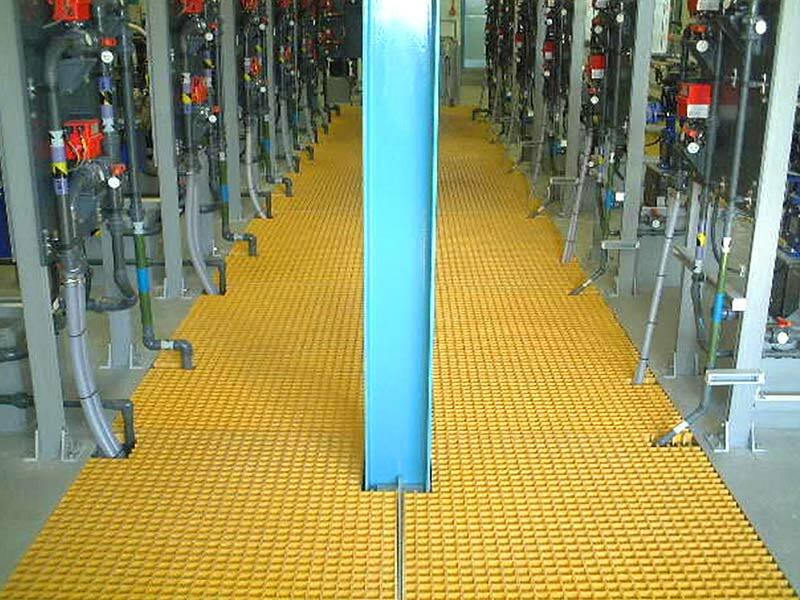 Captrad's fiberglass moulded grating has a density one-quarter that of steel and two-thirds that of aluminium which considerably simplifies installation and handling of our frp grating panels. Unlike metallic grating, moulded/pultruded grating can be easily cut on site using only hand tools. The ease of handling fiberglass makes it the ideal grating to install in difficult access areas as personal can carry it. GRP Moulded Grating due to its light weight falls easily within H&S limits. Fiberglass Moulded Grating has Load bearing bars in both directions of the panel allow for use without continuous side support. This allows the panels to fabricated whilst retaining its structural properties. All our fibreglass grating work very well with the structural grp profiles we supply (see pultrusion section).